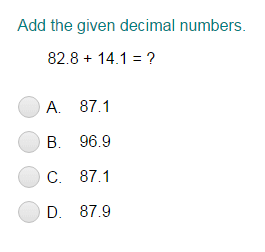 What did you think of Comparing Decimals with Mixed Numbers ? first convert, or change, one of the numbers so that we have either two decimals or two mixed numbers (or two fractions). Then, compare as usual. First, let's write the mixed number as a decimal. as an equivalent fraction with 10 as the denominator. Now, compare 4.2 and 4.13.